In 2010 the Canadian Arctic experienced its warmest year on record. Suddenly the area's resources - oil, gas, iron ore, uranium, even diamonds - seem accessible. From Siberia through Greenland to Canada and Alaska energy and mining companies are descending on the north, eager for a slice of the profits they believe to be waiting for them in the gathering slush. In the first of two programmes Tom Heap is in Arctic Canada to find out more about the new goldrush and to ask if the scramble for resources could reignite the great Cold War rivalries. The Arctic has held a fascination for Europeans for centuries. Vikings, fishermen and whalers plundered for short summer seasons and in 1576 Sir Martin Frobisher sailed around Baffin Island in search of the North-West passage to the riches of the east, a search that would obsess sailors for the next 350 years. Today the passage is clearing and shipping lines are examining the possibility of a high speed route between Western Europe and China. The clearing of the ice is also making oil exploration easier and allowing mining companies to access the mineral wealth of the north. 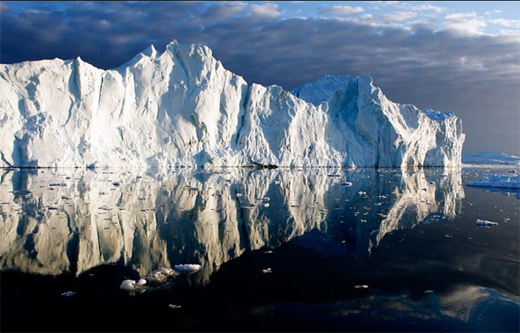 That wealth is also attracting the attention of the national governments that claim a share of the Arctic. It's three years since the explorer, Artur Chilingarov piloted his submarine to the seabed beneath the North Pole, planted a flag and claimed it for Russia. The diplomatic repercussions of that dramatic act are still being felt around the Arctic today. Does that make economic, diplomatic or even military conflict inevitable or can the Arctic states share out the spoils without further damaging one of the most fragile environments on earth?